An Egyptian investigation committee looking into the missing EgyptAir flight MS804 says it has found wreckage of the jet in the Mediterranean Sea. According to a statement from investigators, "several main locations of the wreckage" were identified as being from the jet, which went missing last month. Flight MS804, an Airbus A320 with 66 people on board, crashed over the Mediterranean Sea on May 19 while flying from Paris to Cairo. It vanished from both Greek and Egyptian radar screens — the nearest approximate nation and the flight's destination country, respectively — and sent no distress call. The cause of the crash is still in question, though neither terrorist action nor human or technical error are ruled out at this time. No group has claimed responsibility for the plane's disappearance. The investigation committee explained that investigators on board a search vessel in the area planned to draw up a map of the wreckage distribution spots. Earlier this month, search teams said that signals from one of the "black box" flight recorders was detected, but the recording device is not yet recovered. Images taken of the wreckage were provided to an Egyptian investigative committee, according to the Civil Aviation Ministry. However, the ministry did not detail the size or the location of the wreckage. Earlier, debris was recovered in the Mediterranean Sea, 290 kilometers (180 miles) north of Alexandria, Egypt, though the general location that teams have searched has depths sometimes reaching 10,000 feet. Flight data revealed that smoke detectors went off in the toilet only minutes before the plane's signal vanished. According to Greek investigators, the plane turned 90 degrees to the left and then 360 degrees to the right, dropping from 37,000 feet to 15,000 feet and then 10,000 feet before it was no longer visible on radar. On board were 56 passengers, seven crew members, and three security staff. Passengers hailed from a total of 12 different countries, including 30 Egyptians and 15 French nationals. 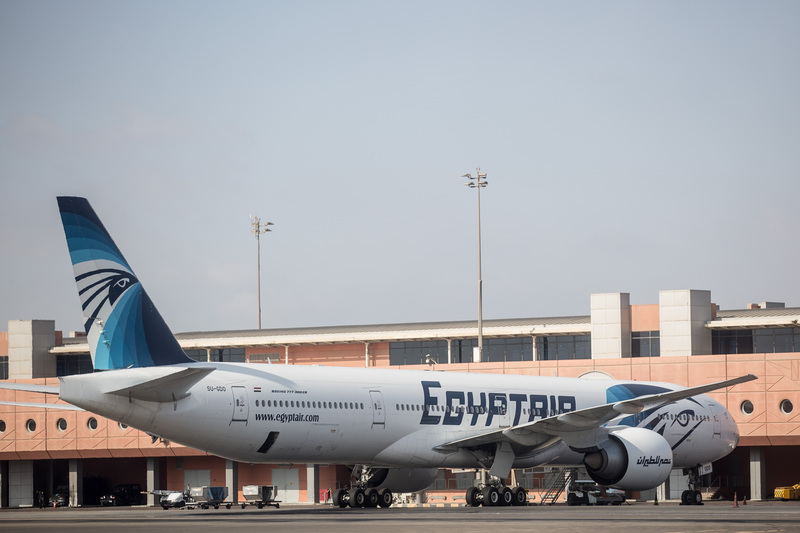 This tragedy occurred less than two months after EgyptAir flight MS181 was hijacked by a passenger who claimed he was wearing a suicide explosive belt, though it was revealed as a fake. However, both the incident and MS804 are the most recent addendum to an already questionable safety record for EgyptAir.